I was browsing the net for danelectro pedals when I saw this this DIY cellphone charging holder. I think this one is quite easy to do and would not even cost you anything if you know how to sew and recycle fabrics. I normally charge my cellphone placing it on a piece of table napkin on top of the microwave oven, as there is a nearby outlet. However, I need to take it out whenever I use the microwave oven. So, I would say it's not so convenient. 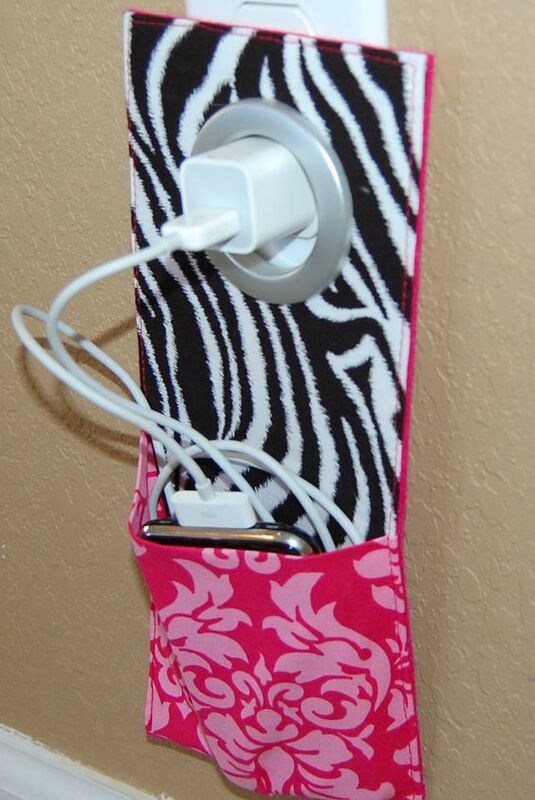 This DIY holder won't require you to use any space where you can place the cellphone, it's right there at the electrical outlet....so cool. Sometimes, you just need to be creative to come up with an attractive and useful piece.